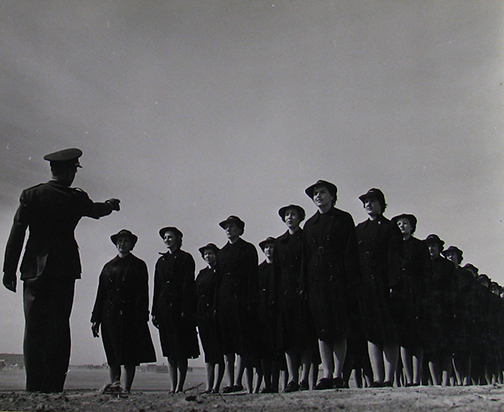 WAVES drilling at the Naval Aviation Technical Training Center, Norman, Oklahoma, 1943. Note the drill sergeant giving instructions at the far left. The photo comes from the National Archives.